Wells Fargo has set up an account in Matt Ivey’s name if you would like to help with donations. You can also email Dallas Ivey for more information at divey@knightis.com. If you are near Madisonville, stop by and eat a chop beef sandwich for a good cause. Every day is an opportunity to nurture the mind, develop the body, and strengthen the spirit. At Carpe Diem, every facet the preschool - from their degreed educators and inspired array of programs, to their secure, state-of-the-art facility - is designed to provide children with an enriching experience and a strong foundation for learning and individual development. Carpe Diem Private Preschool is truly building the foundation for a lifetime of learning. When Ashley Murphree, CEO and Founder of Carpe Diem Private Preschool planned to have children of her own, she did extensive research and wasn’t pleased with the available options for childcare. At that point, she decided to open her own preschool, which would offer the very best staff, facilities, and curriculum based on the most current research on developmentally appropriate learning and practices for young children. She also wanted to change the widely held view of childcare givers as undervalued employees to that of professional teachers, by valuing their expertise and providing corporate benefits to her staff. The result is Carpe Diem Private Preschool, an American dream come true. Carpe Diem Richardson opened in 2001, Frisco in 2005, Allen in 2009, and Southlake in 2010. Mrs. Murphree plans to continue to expand, which will provide more children and families access to Carpe Diem’s exceptional and exemplary approach to early childhood education and care. Now the story could end right there, but it doesn’t. Mrs. Murphree shares a wealth of knowledge to her business, employees, communities, and the children she educates and cares for. Ashley’s amazing journey actually begins in 1979 in Saigon during the Vietnam War when she and her family escaped Vietnam huddled in the bottom of a small, wooden boat. It was an arduous ordeal, but they survived; and eventually, they found their way to the Dallas area in 1980 and settled in Garland, Texas. With a strong work ethic and a great deal of determination, Ashley put herself through college at the University of Texas at Arlington, earning a Bachelor of Business Administration. She worked for several years as a Human Resource professional before completely dedicating her time to building Carpe Diem Private Preschool into a leading early childhood educational program. In her spare time, Ashley has given many motivational talks to community groups focusing on women in the workforce, leadership skills, and the importance of education at every age level. Region 10 and the Richardson Junior League named Ashley as one of its “Sheroes,” who are young women who have succeeded despite the odds by improving themselves through education. These women’s stories serve as an inspiration to others. Ashley’s amazing personal and business story has also been the subject of many articles in the Dallas Morning News, the Dallas Business Journal, which awarded her the 2012 Minority Business Leader, University of Texas at Arlington Magazine, which named her an “Entrepreneur Extraordinaire.” National media, such as Entrepreneur Magazine listed her on their “Hot List” and The New York Times, have also featured Ashley’s business savvy. After careful consideration, Carpe Diem Private Preschool has chosen to partner with DeliveryMaxx charging them with providing digital solutions that will help spread Mrs. Murphree’s educational programs and opportunities throughout the world wide web. DeliveryMaxx will be charged with providing Carpe Diem Private Preschool with a strong social media marketing program and online reputation management services. For more information about Carpe Diem Private Preschool’s educational programs visit http://carpediempreschool.com with locations in Allen, Frisco, Richardson, and Southlake, Texas. After 85 years of success, and thousands of happy customers in the Dallas Fort Worth area; the Huffines story will be shared by DeliveryMaxx’s digital platform. On May 5, 1924 Huffines Motor Company opened for business in downtown Denton. J.L. Huffines, Sr. founded the company on two principles which are still the benchmark for all decisions made at the dealerships – treat the customer the way they want to be treated and support the community. Mr. Huffines always believed that when he sold someone a vehicle he had made a friend. Passed from father to son, to grandson, Mr. Huffines' philosophy has formed the solid foundation on which every Huffines dealerships are grounded, small town friendliness and a strong commitment to please each and every customer. Through all of this, Huffines had been satisfying customers – many who still shop at Huffines today. The fact that grandchildren and great grandchildren of original customers still shopping at Huffines 85 years later certainly proves the success of their commitment to customer satisfaction. Today, the Huffines Motor Company has grown to nine auto dealerships in Plano, Denton, Lewisville, and McKinney and has over 800 team members to better serve all their customers automotive needs. The dealer franchises include Chevrolet, Subaru, Dodge, Jeep, RAM, KIA, and Hyundai. All of the dealerships include the latest most advanced cars, trucks, and suvs as well as a plethora of pre-owned vehicles. Ray Huffines, is the dealer principal for the Huffines Auto Dealerships and is guiding the dealerships selling more than 13,000 new and used vehicles a year, still embracing an 88-year-old mission—to treat customers’ right and support the communities in which the Huffines’ dealerships operate. “The Huffines family has always said if we treat someone how they want to be treated and support the community as well as take care of your employees, success will take care of itself” states Mr. Huffines. The Huffines Auto Dealerships have been honored with the Consumer’s Choice Award for Auto Dealership Group of the Year for 2008, 2009, 2010, and 2011. The Dallas Morning News recognized with its Top 100 Places to Work for 2011 Award and the Neighbors Choice ‘Go’ section, Best Auto Dealership and Best Auto Repair Facility Award. The dealerships have also been recognized by the DFW Community Newspapers for the Best New Dealerships, Best Pre-owned Dealerships, and Best Repair Facilities Awards. 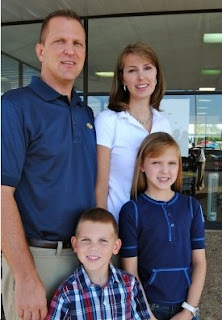 In addition, the Huffines Auto Dealerships have also earned GM’s Mark of Excellence and Standards for Excellence awards, the Chrysler Five Star and Customer Care Standards awards, the Hyundai Board of Excellence Award, KIA’s Dealer Excellence Program Award, and Subaru’s Stellar Performance Award. 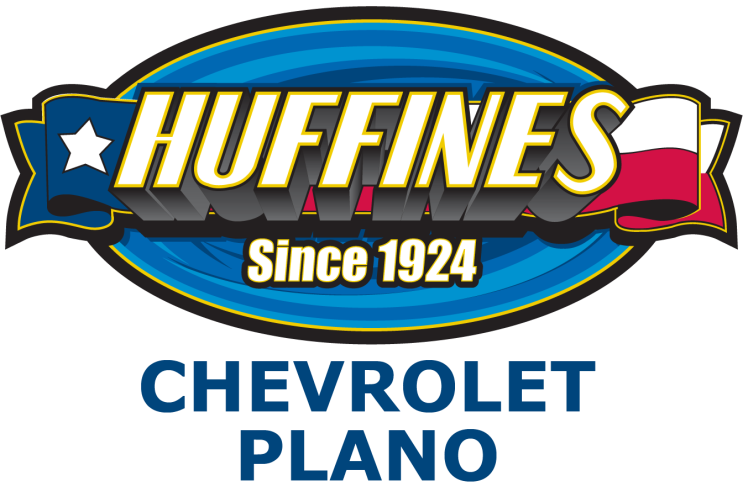 Huffines Chevrolet Plano is located at 1001 Coit Rd in Plano, Texas. More information can be found by visiting www.huffineschevyplano.com or by calling 972.867.4000. “We welcome everyone to come see what it is like to be treated how you want to be treated” says, Lee Ingrahm, General Manager of Huffines Chevrolet Plano. Since 2001, Capitol KIA has carried the torch for customer satisfaction with car buying. 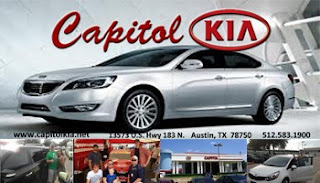 Many companies have made the claim, but Capitol KIA located in Austin, Texas has consistently strived to make customers happy by helping them put them in the car, truck, or suv that is right for them. With an unprecedented 17 consecutive years of market share growth, KIA Motors is the fastest growing automotive brand in America. Thanks to advances in product quality, design and innovative marketing, KIA is also one of the fastest-growing car companies in the world. In a study conducted by Interbrand, the world's leading brand consultancy agency, Kia is on the "Top 100 Best Global Brands" list. Capitol KIA has been Texas number one KIA dealership in total KIA’s sold for over a decade. This type of great reputation doesn’t happen by accident. “We have a job to do, and that is to listen to our customers and help them leave with the vehicle that is right for their needs” states Jason Thompson, General Sales Manager of Capitol KIA. Capitol KIA doesn’t just talk the talk, but they walk the walk too. From the moment guest arrive at the dealership, a representative greets them with a smile, opens the car door for their guest, and helpfully guides them where they would like to go. All of the sales associates build a true relationship with their clients, and management goes the extra mile to assure all of the needs are met. Not only does the dealership excel in superior customer service, but they also are located conveniently in Austin, Texas serving all of Central Texas including Round rock, Sunset Valley, Georgetown, San Marcos, and Balcones. The state-of-the-art service center boast highly trained expert certified technicians and parts specialist. When customers make the decision to purchase or lease a vehicle they are guided through the best options for financing by the most knowledgeable finance staff in all of Texas. A customer will feel like family after one visit to Capitol KIA, and Capitol KIA looks forward to adding to their ever growing family of customers. “It gives everyone in the dealership great pleasure when we sell or service our customers’ vehicles because we know our customers have many choices of dealerships to buy from. We are honored when our customers choose us, and don’t take that lightly” adds Thompson. Capitol KIA has chosen to partner with DeliveryMaxx, an innovative digital solutions provider, to help share customers experience with the world. DeliveryMaxx has provided a review application for every customer to be able to express exactly how they were made to feel while working with the dealership’s team. “With DeliveryMaxx, we will be able to assure that our clients are completely taken care of 100% of the time” says Thompson. To become a happy customer and experience a great car buying opportunity, visit Capitol KIA located at 13573 U.S. Hwy 183 N. in Austin, Texas. All of the new and pre-owned vehicles can be viewed by visiting www.capitolkia.net or calling 512.583.1900. When searching for a certified public accountant businesses and individuals have the ability to choose from hundreds of individuals and firms. However, very few CPA’s are able to adapt and change with the today’s advancement of technology. After a rigorous search, BW James Certified Public Accountants, led by founder and CPA Barry W. James, has chosen the leading firm of DeliveryMaxx to provide Social Media Marketing and Digital Solutions to keep their clients better informed of the latest financial, accounting, back office support system, advisory, and tax services available in the industry. 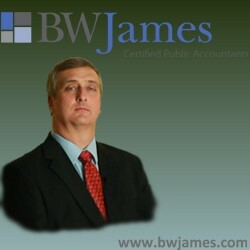 BW James Certified Public Accountants is one of Houston areas most progressive accounting firm. 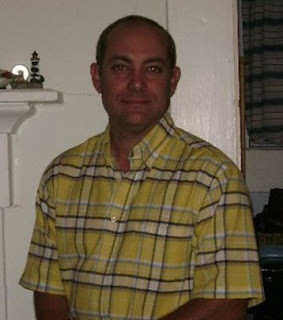 Barry W. James is a native of Baytown, Texas just outside of Houston. He is known as being innovative and by utilizing advance technology and sound financial reporting accomplished through one-on-one approach Barry W. James CPA’s gives their clients the attention that they deserved. Barry James’ clients are highly valued. With over 8 decades of experience performing financial planning and public accounting for clients; Mr. James and his CPA associates have provided exceptional tax, financial, estate planning, and accounting services to a diversified client base throughout the area and state. Having a close relationship with each client, assisting them personally with tax, accounting, and personal wealth needs; he specializes in IRS, state and local tax audits, as well as small business and personal consultation. James is a long-standing member in the Texas Society of Certified Public Accountants, the National Society of Public Accountants and the American Institute of Certified Public Accountants. He was recently selected to serve on the Board of Directors of the Bay Area Rehabilitation Center, a non-profit organization dedicated to making a difference to thousands of children and adults with disabilities in Baytown and the surrounding East Houston communities. Barry James is part of RootWorks, the accounting profession’s exclusive premier membership-based education organization which reviews today’s most advanced cloud-based technologies exchanging ideas to best serve their clients’ necessities. Barry James Certified Public Accountants is located just outside of Houston at 721 E. Texas Ave. in Baytown, Texas. Barry James and his team of financial and tax professionals can be reached by calling 281.420.1040 or visiting https://www.bwjames.com. Huffines Chevrolet Lewisville is located at 1400 South I-35E in Lewisville, TX. More information can be found by visiting www.huffineschevylewisville.com or by calling 972.538.7000. “We welcome everyone to come see what it is like to be treated how you want to be treated” says, Mike Biggers, General Manager of Huffines Chevrolet Lewisville.